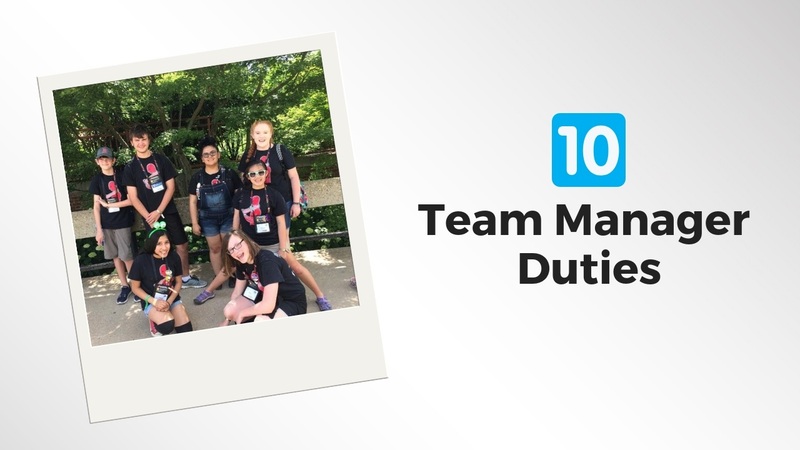 As a Destination Imagination Team Manager, you will have many jobs to perform and all will play a vital role in the success of your team. Speaking from experience, being a Team Manager will touch your heart in a way that few things will. As you spend time with your team, you begin to care for each team member as if they were your own. A knowledgeable Team Manager can help a team achieve great things, but you must know your role. Here are my top ten duties, in no particular order, for a Team Manager. Picking a Team: Selecting kids for a team is a crucial part of being a Team Manager. Never fall into the mindset that DI is only for the “advanced” learner. More importantly than the “academic ability” of the student is the “ability” of the student. Look for kids to put on your team who can draw, think outside the box, build, focus, be willing to showcase their talents, have stage presence, and most importantly, who can get along with each other. Know the Challenge: After your team selects a Challenge, you need to learn it inside and out—especially if you are the Team Manager of a younger team. By knowing it, you can ensure that your team stays on track towards a penalty-free solution. In addition to knowing the Challenge, you need to know the Rules of The Road. DI has tons of rules, so become familiar with all the dos and don’ts. It would be upsetting if your team put in a lot of work and was penalized because you overlooked a rule. Get Support: I cannot stress enough that having supportive parents and school administration is extremely important. Make sure they are fully aware of everything DI entails, especially outside Interference and the financial cost, and do this at the beginning of the season! Find a Place: Location is important in real estate and in DI. You need to secure a place for your practices. If you are a school team, check with the principal to see if the school can provide one. If you are not a school-based team, you can still check with the school to see if they have a space, or see if your team members’ parents have space to hold practice. If a parent volunteers their house for practices, make sure they are aware of all the building that a DI team does, the time frame of which you need their space, and that they have the space needed to hold it all of the team’s solution. Show Me the Money: Fundraising is crucial in DI, especially if you make it to Global Finals. You will need to have money on hand in order to get the things your team needs to be successful. 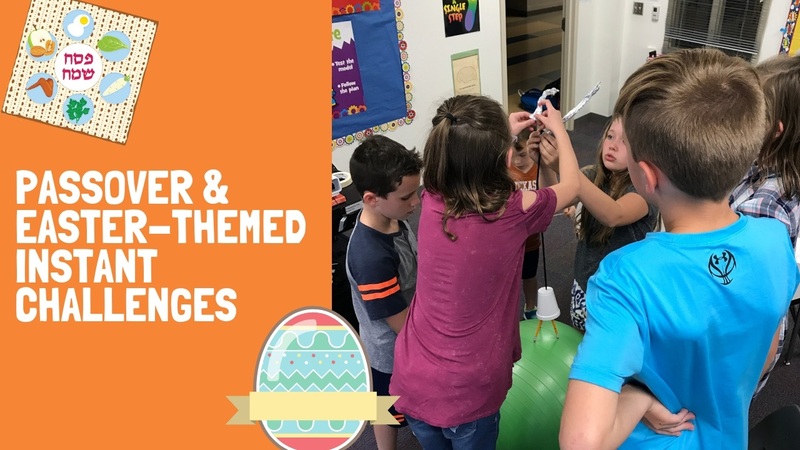 This includes, but is not limited to: materials for Instant Challenge, specific items for the solution, transportation, Global Finals, pizza and snacks, trading pins, and team T-shirts. Check to see if your kid’s school or PTO will help fund the team. You can also ask local businesses to help support your team. Team dues is a great idea too. If you chose to have team dues, make sure the parents know it up front. Inspire Them: There is an element of competition to DI and you are the manager of the team. So, you want to make sure that each member of your team is working to their potential, on task, and meeting all the requirements of the Challenge. Do not accept anything less out of any member of your team than what you originally saw in them in the first place. Just because you cannot solve the solution for them does not mean you cannot motivate them to be the best DI kid they can be. You Can Look, But Do Not Touch: Along the same lines as number 5, you must be able to keep your hands off the solution and let your team go. YOU CANNOT SOLVE ANY PART OF IT FOR THEM! If they are going to go down like the Titanic, you have to let them. This is the hardest part of your job. Failure is an important part of learning. Win or lose, it’s your job is to guide them through this process. Transportation: You need to get your team to, and possibly from, their tournament. This is no small task. Here is a small list of things that you need to do just to physically get them to the tournament: make sure all of the competition forms are completed, book hotel rooms, transport sets, kids, props, costumes, and emergency kit, get team t-shirts and/or team trading pins, make sure you are following school district rules for field trips, and keep parents in the loop about dos and don’ts at competition. Start planning this a few months out from your first tournament. Run Instant Challenge: Instant Challenge is critical! In fact, it is 25-percent of your team’s overall score. As a Team Manager, it is one of your duties to run as many Instant Challenges with the team as you possibly can. After each one, sit down with them and reflect with them on what they did great and what they could improve. The more Instant Challenges your team does, the more confident they will become at doing them. The good news is there are many Instant Challenge resources you can purchase through DI or find online for free. Be a Gopher: You will be called upon to run errands, especially with younger teams that do not drive. Although you are not permitted to design or build any part of their solution, there is no rule prohibiting you from going to Home Depot or the local flea market to find and purchase the materials they tell you to purchase. The key words of that last sentence are “they tell you to purchase.” In order to keep your team busy designing and building their awesome solution, it is wise to get the requested material in a quick and timely fashion. About the Author: Michael McQuaid is a middle school history and science teacher. He is an alumnus of DI (dating back to 1989) and currently manages a middle school team and assists with a high school team. McQuaid serves on the North Carolina State Board and has served in a variety of DI volunteer roles, including Appraiser and Affiliate Challenge Master.